We have quite a few offers from hotels this week. Whether it is thanks to the Black Friday,Cyber Monday or the Winter sales it doesn’t really matter if you can bag a bargain. Instead of doing one post for each offer I found interesting I thought I will just add them all here for you to choose from. One of the chains I always cover for my trips or for Umrah is Hilton. 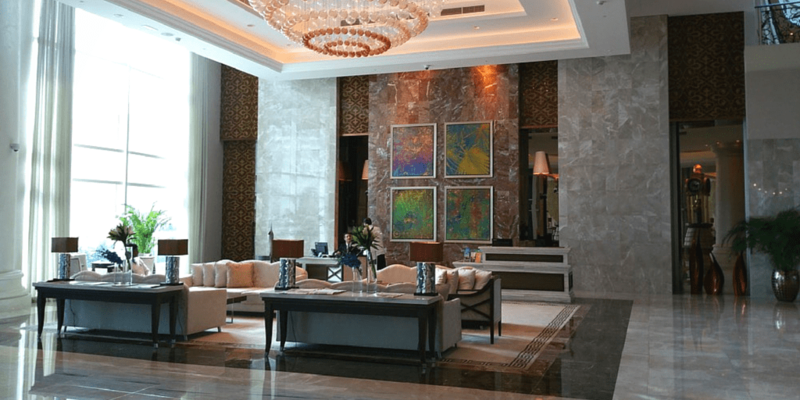 There are ways to earn Hilton status easy for free breakfast and also the offers they have on cash and points for more expensive properties can save you quite some cash. Hilton currently has their winter sale. You can find up to 35% discount on some rooms. Even if you just go to book regular Hilton properties they will come up. You can find the website here. They also have buy points with up to 50% discount. The discount I received was 45% so it is not too bad if I use it in Makkah for the very expensive peak season. The new Conrad is an excellent option after March in Makkah. You will need to be logged into your account to see the offer available to you. Accor has an interesting offer for Black Friday and Cyber Monday in the UK which is basically the same offer as their Happy Monday promotion but it can be booked for more than just the weekend.. Ibis hotels start from £25 around the UK with properties in London £40 and £60. Website is live here. The Intercontinental group has their winter sale as well which can help you save up to 30% for stays from now until February 12th. You can find the page here. Some people where emailing me with regards to properties in the UAE. At the moment Hyatt has an offer for 40$ dining credit in Germany and Dubai. Which can be an added bonus for some. SP last week didn’t have their Hot Escapes in preparation for their Cyber Monday promotions which is now live on the SPG Hot Escape website. You have to book by 6th of December for travel through 6th of September 2016, which is quote generous. Details here. P.S. Not a hotel deal but for those from the USA looking to go for Umrah, Emirates had a great sale for $630 for minimum of two passengers. From there you can get the local airlines for your Jeddah flights. It can definitely same you some cash.